Here in Hawai‘i, “talking story” is how we communicate. At Lineage, it’s ingrained in every dish on the menu. 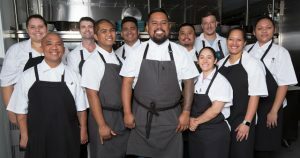 Lineage is Simeon’s second solo venture and first full-service concept, with an eclectic menu and dining space inspired by his upbringing (in Hilo). When guests first walk in, they’re welcomed by the stylish bar, touting visual, inventive cocktails. There’s a rolling cart to greet each table with starters like boiled peanuts, One Ton chips and kimchi dip; then a menu with creative culinary offerings connected to Simeon’s familial roots, or lineage. There are plenty of pūpū options, from cold ginger chicken to squid (or tako) lū‘au to veggie katsu curry. 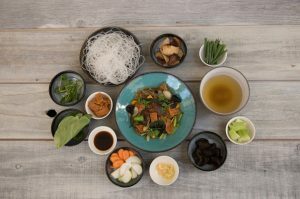 Ingredients are as locally-sourced as possible, using suppliers like Oprah’s farm upcountry and Kumu Farms in Waikapū. 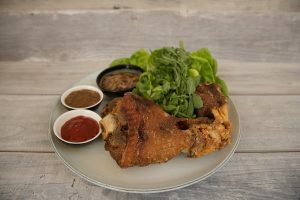 The menu features some rice and noodle dishes, plus share plates like crispy pata (pork hock) and huli huli chicken. Simeon shares an example of a special item from generations back. 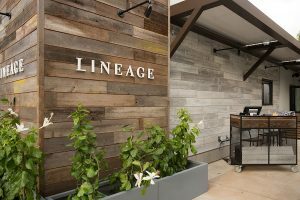 Lineage, located at the north side of The Shops at Wailea. Courtesy photo. 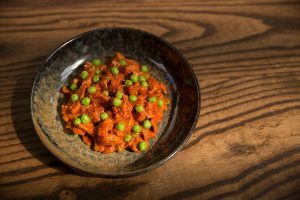 Pork and Peas, a longstanding Simeon family recipe, on the menu at Lineage. Courtesy photo. 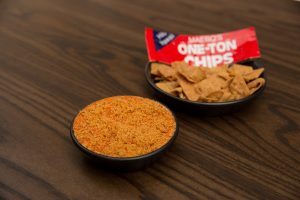 One-Ton Chips with kimchi dip, at Lineage. Courtesy photo. Crispy Pata, on the menu at Lineage. Courtesy photo. 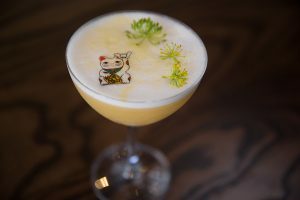 Maneki-Neko cocktail at Lineage. Courtesy photo. An assortment of plates at Lineage. Courtesy photo. 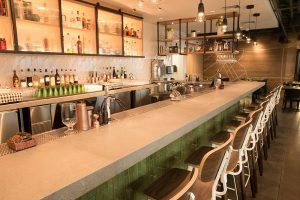 The bar at Lineage at The Shops at Wailea. Courtesy photo. 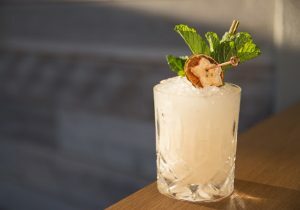 Mai‘a Tai, available on the cocktail menu at Lineage. Courtesy photo. Hekka, available at Lineage at The Shops at Wailea. Courtesy photo. Lineage is located at The Shops at Wailea, next to Island Gourmet Markets. The cozy space is primarily first-come, first-serve, open from 5 to 10 p.m. Welcoming both visitors and locals, Lineage offers a 25% kama‘āina discount. With a motto of “Eat. Drink. 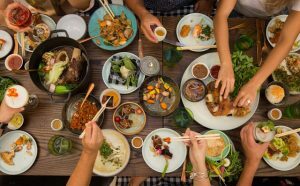 Talk Story,” talented chefs clearly put a lot of care, time and quality into the food; expert mixologists cleverly craft the cocktails; and knowledgeable servers greet guests with genuine warmth and aloha. For the Top Chef finalist and longtime Maui chef, this concept is personal.